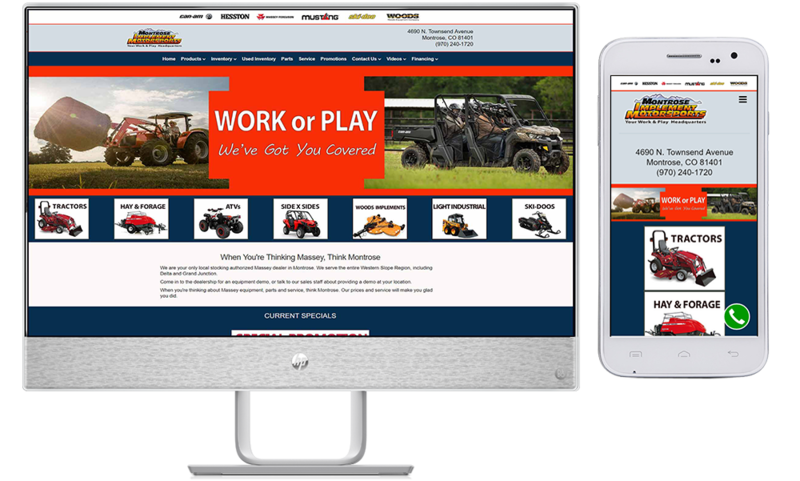 Montrose Implement and Motorsports had two separate websites, neither of which was performing as hoped. The challenge was to meld them into one site that demonstrated the scope of their business and yet was easy to navigate and very informative. With full inventory listings and plenty of pages of description, we were able to move them up in search and continue to do so. The client response was overwhelmingly positive, and we continue to add to this site as their inventory changes and grows. Site Guy is also very skilled at AdWord campaigns, and we recently began one for Montrose. That effort has increased sales, as well as site visits.